The pace of change, and particularly AI adoption, is skyrocketing - moving at a magnitude that enterprises are challenged to meet. Today’s most active digital consumers and largest segment of the workforce, Millennials and iGen, are challenging that rate of change based on their technology adoption, behaviors and preferences. The Blockbuster Video bankruptcy remains a key example of why enterprises must adapt to consumer expectations, and it’s more evident and validated 5 years after their closure. Three critical expectations that impacted the Blockbuster Video failure also influence today’s adoption of artificial intelligence (AI). In this intelligence economy, meeting consumer and employee expectations can mean the success or failure of the business. Over Labor Day weekend I binged watched the React channel on YouTube. I started with the “do they know” challenges, watching kids and adults reacting to different types of music genres and decades – great holiday weekend entertainment. 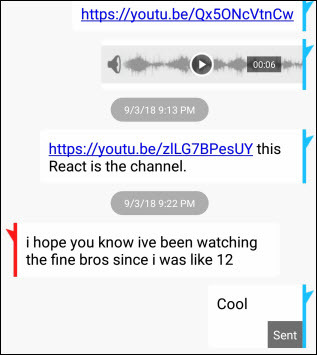 I thought these were cool, and when I shared it with my 17-year-old niece, she texted me back (I can picture her cringe) that she’s been watching Fine Brothers Entertainment videos since she was 12. Example enough that a Gen Xer can clearly learn from the next generations. 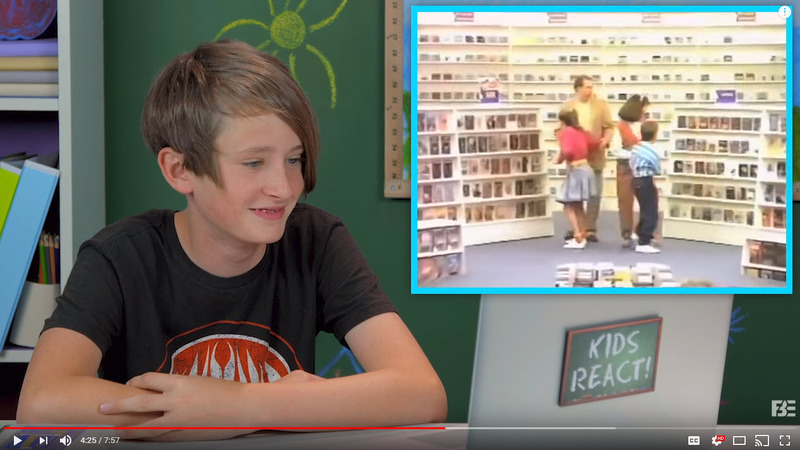 When I came across this particular video it hit me like a smack in the face…of change: Kids React to Blockbuster Video. Expectation 1: If It’s Not On-Demand, It Isn’t Acceptable. Reactions to the Blockbuster business model and customer experience expectations were captured out of the mouths of babes, or more appropriately iGen, people twenty and younger who were born with mobile technology as the norm. The ages listed in the quotes below are dated from two years ago, so these individuals have even stronger expectations now than when this video was posted. When presented a physical video tape box, these teens and kids were amazed. Some had a distant memory, while others had no clue as to why you would need a bulky box to play a movie when a few clicks on your device delivers plenty of options. “I thought this was a book,” Samirah, age 10. Enterprises must stay ahead of technology and innovation, or the disruption on your business can be catastrophic. Artificial intelligence has stepped in to deliver an understanding and response to fast-changing demand, from customer engagement to workforce efficiencies. AI also helps to empower individuals by understanding and solving their needs with human-emulated intelligence, so individuals are satisfied at their pace, the way they need to solve any issue, and the business gets smarter with each interaction. Expectation 2: If It’s Not Convenient, It Isn’t Acceptable. Compare the AI perspective of intelligent delivery to old school video rental. Hearing about the expectations for a video store engagement – the level of effort and inconvenience of getting in your car and driving to the store to get what you want, and possibly NOT finding it available – was completely unacceptable. “That’s crazy…” Kacey, age 11. “That’s when people were very patient [laughs]. And now, we are not,” Tyler, age 12. The expectation that customers invest more time than personally desirable from their daily lives, and travel outside their home to another location, to do something so simple as rent a movie was a bit of a shock. When so much of life is available from mobile and digital devices today, consumers and employees expect the same convenience in their personal and work lives. “I am so glad I didn’t live back then,” Melanie, age 9. This truly puts the evolution of technology and AI in perspective, and it’s not just iGen or Millennials on board with it. Blockbuster Video was launched when I graduated from high school (yes I readily age myself). To me it was cool, and when DVDs were released, it was even better. But as a digital consumer, there’s no way I would drive today to pick up a movie. On demand is the expectation today. Movies are digital and on demand (NetFlix, Roku, Hulu, Prime, etc. ), groceries and other purchases get delivered to my doorstep– same- and two-day delivery is long enough, and I appreciate the personalized recommendations that make my shopping easier. Heck, if I could have my car’s gas tank filled in my driveway I wouldn’t turn that down either. At work I opt for whatever tool makes me more productive and efficient. I do still call people, but if I get a recording, my preference is to message or email, rather than leave a voicemail message. Expectation 3: If It’s Not Updated, It’s Obsolete. The adoption of AI is a true indicator that understanding human behavior and preferences, and determining how to improve processes and engagements intelligently, are critical capabilities to modernize and evolve business and customer experience. 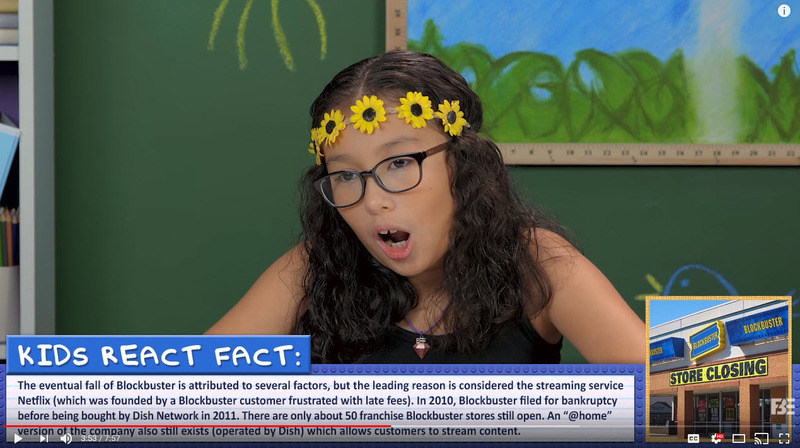 Unfortunately, when given the opportunity to acquire NetFlix, Blockbuster thought it was a niche business and not the trend for the future. Not every business will get it right, but retail and other business giants must make hard choices now if they haven’t already. “It’s gonna happen because everything gets better and better. So, I think it’s obvious they were going to out of business because there’s always something that’s going to be better than something else,” Jack, age 10. In a September 2014 Forbes article that covered the Blockbuster failure, the concept of the “threshold model of collective behavior” is reviewed. The adoption effects of technology, changes to business models and AI follow this concept. It’s all about being responsive and making choices to make change happen. I highly recommend you read it. “For any given idea, there are going to be people with varying levels of resistance. As those who are more willing begin to adopt the new concept, the more resistant ones become more likely to join in. Under the right conditions, a viral cascade can ensue.” – Forbes. AI opportunities have evolved to Conversational AI – bringing human-emulated conversations to the forefront for modern enterprises competing to win in today’s marketplaces. If AI, CX and employee engagement is important to your business strategy, dig deeper on the impact of Conversational AI and generational norms.